Japan has enormous economic power and yet is a minor player in international politics. In part this has been due to the partnership with US, but now with the end of cold war there is a fierce debate going on in Japan regarding the international political role for the nation. This book is a response to the issues raised and was originally published in Japanese for a Japanese audience. 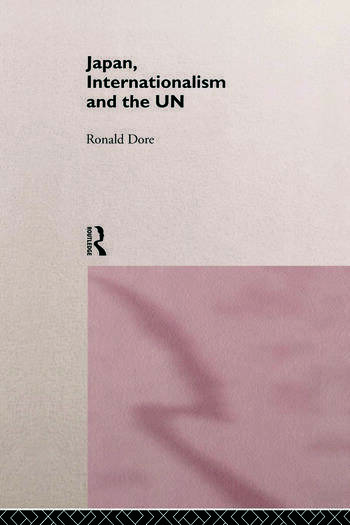 Ronald Dore provides a full analysis of Japan's post war international position and in particular its role within the UN, the use of armed force and constitution. Japan, Internationalism and the UN provides a unique insight into Japan's foreign policy and its related domestic politics. It is the product of nearly half a century of study and discussion with the Japanese themselves about their place in the world.